Conducting surveys can help your company gauge customer satisfaction, gather feedback, and even measure employee satisfaction. This used to be a tedious process, but online tools make it easy to create and send surveys within minutes. However, now that there’s a seemingly endless number of survey platforms that each claim to be the best, choosing the right survey provider for your needs can be more challenging than actually creating the surveys. That’s why in this post, we’ve rounded up 11 of the best free online survey tools and summarized the features they offer. Much like the other tools Google offers, Forms lets you easily accomplish what you want – in this case, collect online survey responses. It’s completely free and has no restrictions on the number of surveys you can create, the number of questions in each survey, or the number of responses you can collect. You can also automatically export your results to Google Sheets for online access and sharing. 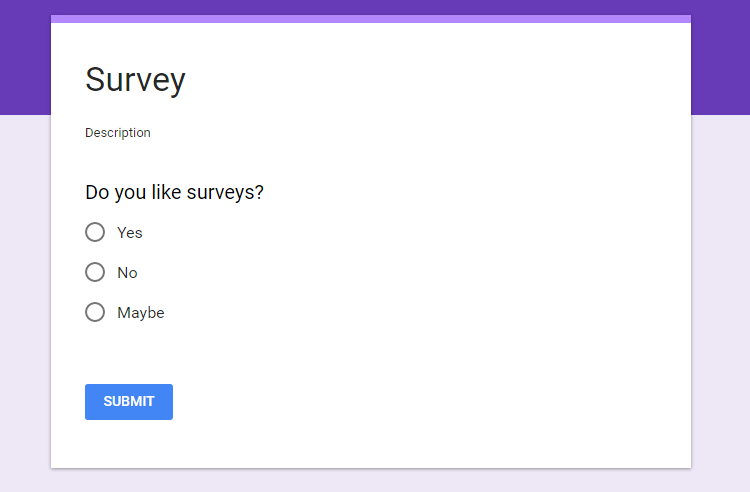 You can even add collaborators and embed surveys into emails. Plus, this is the only option on our list that doesn’t offer a “premium” version – meaning that you’ll have access to all of the features for free, and you don’t have to worry about Google trying to upsell you on advanced versions. 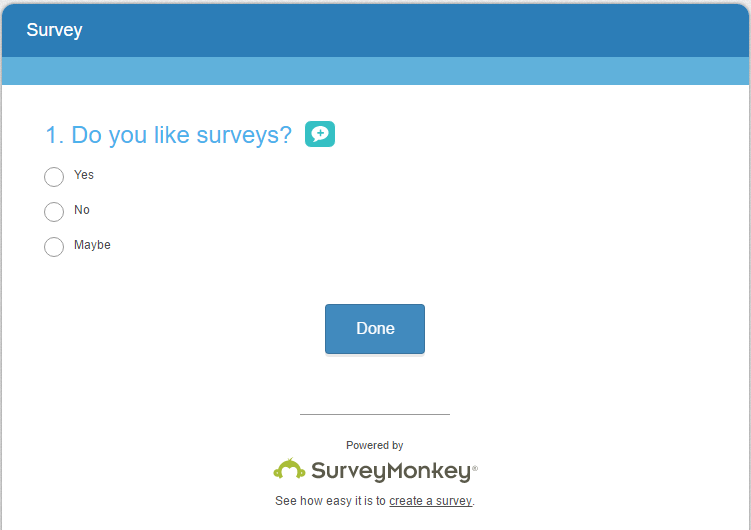 SurveyMonkey is one of the most popular survey tools available because of how easy it is to use. You can create a simple survey in minutes, then share the link or embed it directly on your site. 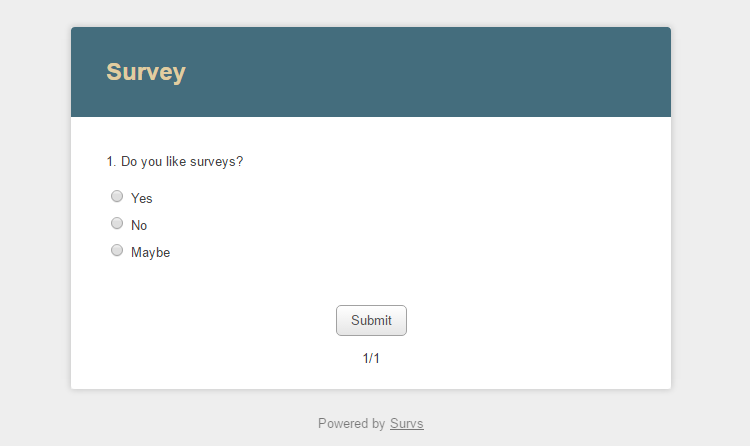 Functionality is limited on the free version, though, as it only allows for 10 questions and 100 responses per survey. If you’re planning to ask a set number of people (fewer than 100) to take a short survey, SurveyMonkey could be right for your needs. But if you want to create more in-depth surveys or collect more responses, you’ll need to look into their paid versions, which start at $26/month. Typeform’s main advantage is that it offers a wide variety of question types, including short text responses, long text responses, dropdowns lists, dates, multiple choice, picture choice, question groups, yes/no questions, ratings, opinion scales, and more. If you’re bored with the standard survey options and want to collect information from your respondents in a variety of ways, Typeform may be the way to go. However, the free version limits you to 100 responses per month. Any more than that and you’ll need to consider a plan starting at $29/month. 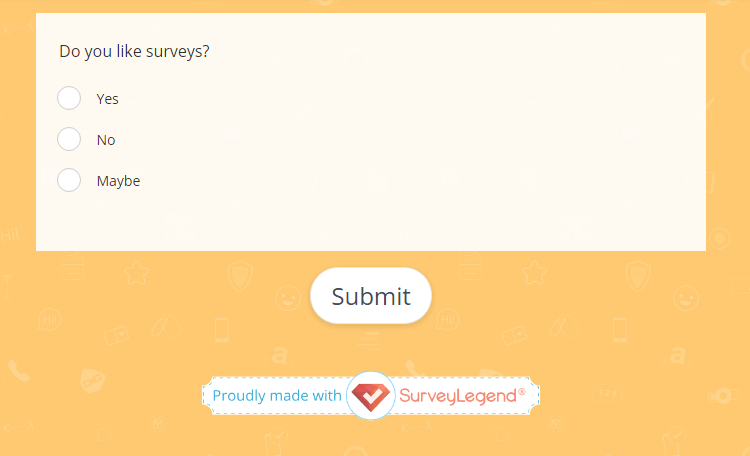 SurveyLegend is an advanced platform that allows users to create beautiful, easy-to-use surveys – even on tablets and other mobile devices. It was designed to be an enterprise-level survey tool, and it’s used by major brands like Groupon, AirBnB, Samsung, and others. Surveys created with it have a more polished feel than most of the others on this list. That being said, the free version has its limitations. Although the number of questions and responses per survey are unlimited, a free account can only create 3 surveys per account. Data export options are only available in the paid versions (starting at $15/month) and include large SurveyLegend branding on all free surveys. Polldaddy offers unlimited surveys, questions, responses, and integrates seamlessly with WordPress. So if your site is hosted on WordPress, Polldaddy could be an excellent choice. If you want to remove the company’s branding, add custom CSS, export data, or access email support, you’ll need to upgrade to one of their paid plans starting at $200/year. Survey Planet is another easy-to-use platform with no restrictions on surveys, questions, or responses, making it a solid choice for anyone looking to create and send simple surveys. Their paid plans start at $180/year and include custom survey themes, branching questions, non-branded surveys, additional question types, data exports, and results in the form of charts. 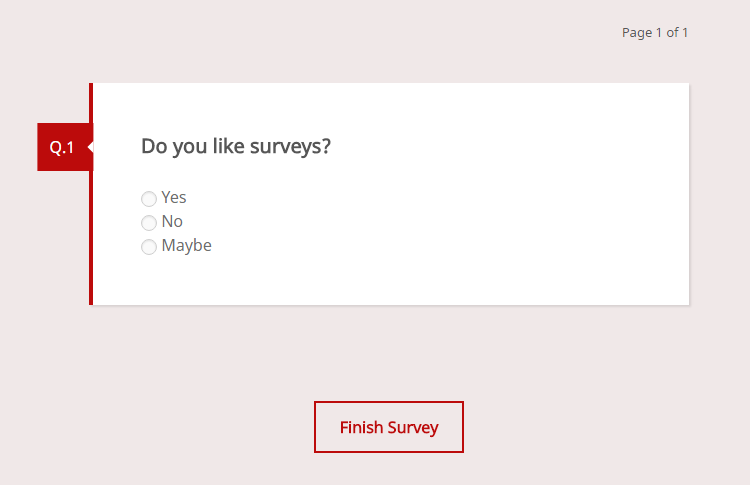 If you’re looking to create a survey as quickly and easily as possible, SurveyNuts is probably your best option. 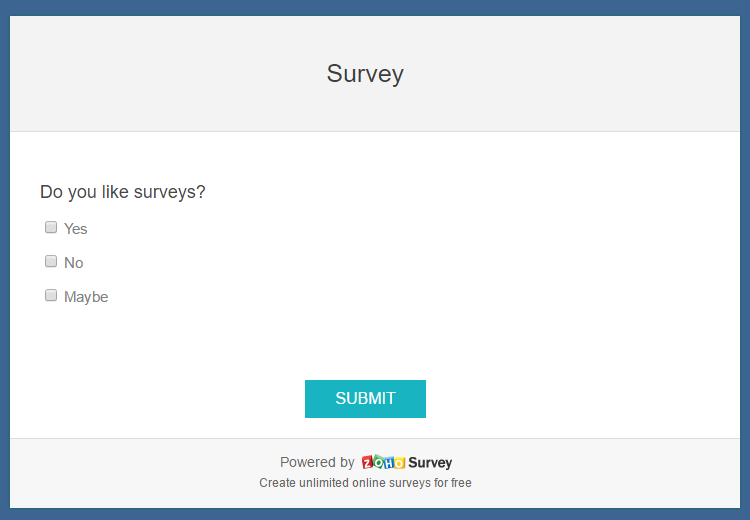 You can create a survey directly on the site’s homepage, and you don’t need to create an account to do so. Surveys are limited to 10 questions but have no limit on responses. So if you want to send a brief, one-time survey, this could be the way to get the job done in a few minutes. A free account with Zoho Surveys allows you to create an unlimited number of surveys with up to 15 questions and 150 responses each. The features available in this version are fairly standard, but the paid versions offer a few unique features, like offline surveys, multilingual surveys, email notifications, and advanced reporting. FreeOnlineSurveys enables users to create simple surveys quickly and easily, with the added potential to add a company logo. Their free version includes an unlimited number of surveys with up to 20 questions and 100 responses. While it may seem contradictory to upgrade to a paid version of a tool called “FreeOnlineSurveys,” you can upgrade to their premium version for $19.99 per month to get rid of ads and include customization beyond a logo. Survs is another popular survey option, boasting clients like Nestle and Spotify. It’s designed for online collaboration to let groups create and distribute surveys. The free version allows for an unlimited number of surveys with a maximum of 10 questions and 20 responses complete with more customization options than most free survey tools. Survs also offers paid plans starting at $19/month that allow you to secure surveys with passwords, add advanced filters, and export your results. 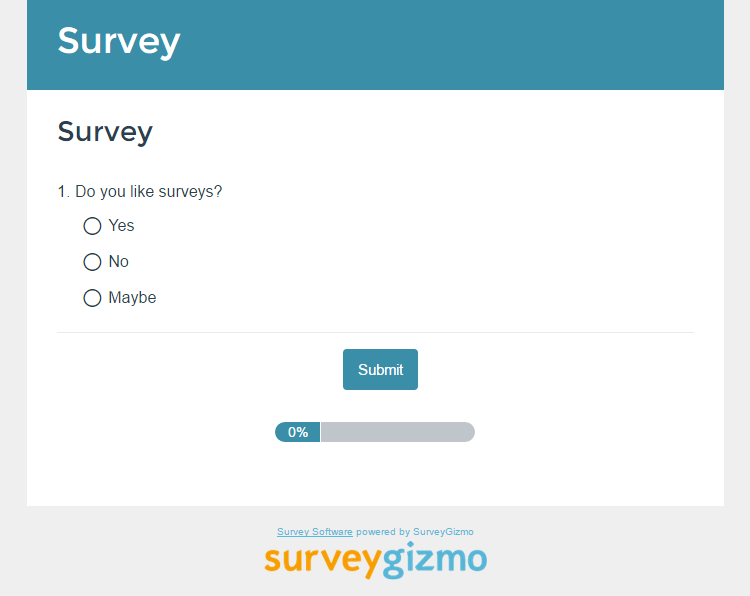 SurveyGizmo is an advanced survey tool that analyzes each of your surveys based on its accessibility and how long it will take people to complete. While it allows you to launch basic, branded surveys and collect responses, you can’t access any of the responses until you upgrade to a paid plan. As a result, its only free use is for measuring how accessible your surveys are – and if you want to do any more than that, you’ll have to upgrade. Which survey tool do you prefer? There are hundreds of survey tools available today, and each is uniquely suited for different types of businesses and needs. Does your business have a preference, or use one that isn’t included on our list? Let me know in the comments below!